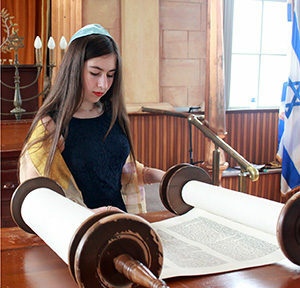 Zoe Lirit Boray, Douglas Bloomfield’s granddaughter, was a recent bat mitzvah at Ruach HaMaqom in Burlington Vt. Bloomfield, author of this column, wonders if she will someday be able to read Torah at the Kotel. Recently, my granddaughter wore a tallit and read from the Torah for her bat mitzvah at Ruach HaMaqom, the oldest synagogue in Vermont. It is in a neighborhood on the Old North End in Burlington that was once known as “Little Jerusalem.” If she tried that at the Western Wall in old Jerusalem she could have been stoned by ultra-Orthodox Jews or even arrested and hauled off by police. Who Stands Up For Us? The crisis created by Benjamin Netanyahu’s decision to “freeze’ the 18-month-old agreement to create an egalitarian prayer plaza at the Kotel reminds us of the sad reality that Jews in America, particularly women, and in most other countries, have more freedom to practice their Judaism than their brothers and sisters in Israel. 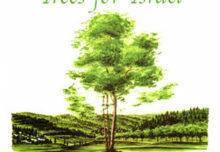 The prime minister’s surrender to the extortionist ultra-religious establishment rather than standing up for the Jewish people — as he likes to boast he does—poses a far greater threat to Israel’s future than any foreign enemy. He sold them out to protect this job, not to protect the Jewish people. Abandonment is a two-way street. American Jewry is no longer reflexively pro-Israel. The recent decision is likely to accelerate the erosion of support. It is most pronounced among the younger and more progressive Jews. American Jewish college students are turning away from Israel in alarming numbers, many even leaning toward the Palestinian side, according a study by Brand Israel Group, which seeks to improve Israel’s image in the United States. Next the ultra-religious are pushing for a law giving the chief rabbinate, which they control, a monopoly on conversions. Netanyahu backs it but temporarily delayed passage in the wake of the latest tsunami caused by his anti-pluralism action. The legislation would give state-run Haredi courts control of conversions, denying recognition to private Orthodox conversions in Israel as well as those by Conservative and Reform streams everywhere. This has nothing to do with religion; it is purely cynical politics for the secular Netanyahu. 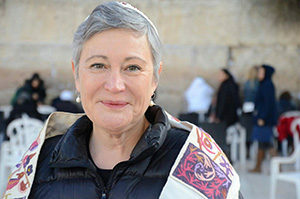 Executive Director Women Of the Wall, Lesley Sachs, a group seeking equal rights for women at the Kotel. Women and girls do not always have the opportunity to take active, leadership roles in Jewish spiritual life. Women of the Wall strives to change this for women of all ages. 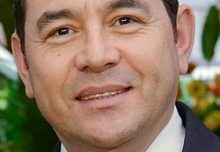 Efforts to blame the crisis on Reform and Conservative movements for not giving the prime minister more time to find another way to appease the religious extremists were rebuffed. This was another self-inflicted wound. Big machers from around the country were calling Israeli officials they knew in the U.S. and Israel, including the prime minister. The prime minister was surprised by the reaction to his “freeze,” which he had easily pushed through his Cabinet to appease the fundamentalist extortionists. Big donors are pulling back, federations and others are talking of boycotting Israel Bonds, JNF and AIPAC. Some have estimated the outrage could cost Israel $1 billion a year. Jewish leaders who are usually docile when speaking to power were uncharacteristically furious. They phoned or flew to Jerusalem to ask Netanyahu directly whether he’d considered the consequences of his actions. It’s about more than donors, they said, it is about political activism, grassroots connections to Members of Congress, and it is about the strategic relationship. 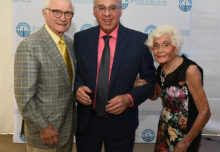 I’ve been meeting with Jewish groups and political activists around the country for most of the past 40 years and I’ve seen their interest and enthusiasm steadily waning. Lately that’s been accelerating. 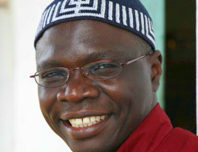 And as they go, so will the political leaders who look to them for guidance and support. There is weariness with the Palestinian conflict, a frustration that blames both sides for the lack of progress. There is the feeling the diaspora is being told to shut up and keep sending your money and keep pressuring the Congress to do our bidding. If American Jewry loses interest in Israel, so will the Congress. Nearly 90 percent of American Jews are non-Orthodox, and they know what the religious extremists who have a strangle hold on this Israeli government think of them. And if they ever had any doubt, they know which side Netanyahu stands with. The Netanyahu era may be looked back upon as the turning point in the American alliance. In his plunge into partisan U.S. politics he backed candidates opposed by 75 percent of American Jewish voters. Now he is betraying the trust of Conservative and Reform movements, a large Jewish majority, on the issues of pluralism, conversion and their Jewish identity. That is not a formula for growth. Netanyahu’s future is in peril. The pluralism freeze may provide some short-term relief but the extortionist demands of the religious extremists won’t end there. On top of that, he is the target of three separate criminal investigations.